In Lycopolis, the titular video game is a text-based escape to a world of magic, knights, and intrigue for a group of people trapped in dull, or even miserable circumstances. That all changes when the game's designer Seth decides to summon a demon for an in-game event. That event starts to become very dangerous and very real, with unexpected revelations for all. 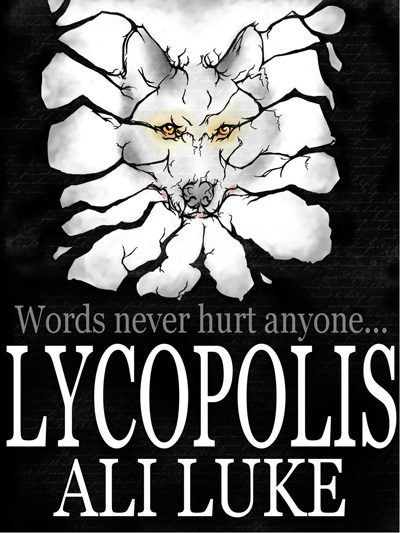 Lycopolis is an interesting novel, bringing together a set of very different characters. It provides an interesting and admittedly somewhat depressing look into why people lose themselves in an MMORPG: as an escape from real life misery and disappointment. However, there is still a good focus on the sense of friendship and support that grows within gaming communities. Community and connection are important aspects of this novel, and anyone who has been a part of a good MMORPG guild can recognize the relationships here. Power also features heavily, especially in a 'power corrupts' sense. The desire for power, especially. The characters have sensible doubts, regrets, and terror when they realize the kind of bargain they're striking. You will spend a lot of time wondering when people will stop making bad decisions. The story is not for the faint of heart. The main conflict centers around a fear-feeding demon. There's a fair amount of hedonism. Seth's habits of drugs, alcohol, picking up women, and demon summoning leave one to wonder how he has as much money as he apparently does. There's also a series of scenes involving the corruption of a teenager by Seth for his own ends, though it's not depicted in a positive light. As with any fiction involving a demon, there's a bit of gore. Nothing is more graphic than "the girl's blood ran down the altar" (pg. 6). There are also elements of torture. Again, it's not graphic, and not lingered on nor depicted in a positive light. At the end, a lot of characters are set to travel on better paths, though Seth has a lot of traveling to do. Lycopolis is a fascinating look into what happens when virtual events become terrifying reality. That voice from the Temple, and from his dreams, spoke through the dawn. "Missing someone?" Ali Luke loves writing (and reading!) fast-paced fiction with strong characters and a touch of the supernatural. She has a degree in English from Cambridge University and an MA in Creative & Life Writing from Goldsmiths College, University of London. She lives in Leeds with her husband and two young children.